Sesame in downtown in Montreal is one of my favorite restaurants and every time I come to Montreal, we visit the restaurant. 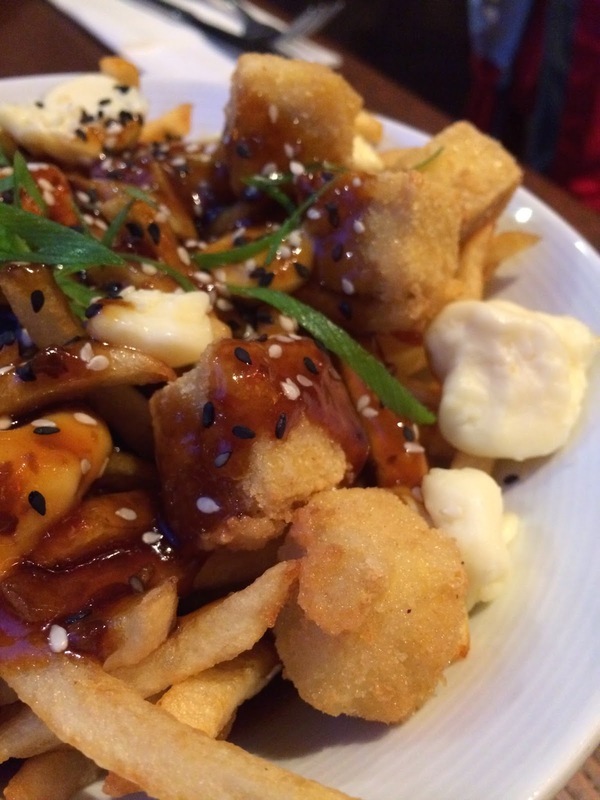 I've tried their Shaolin Poutine (Poutine Week 2014) and Thai Chicken Poutine before. 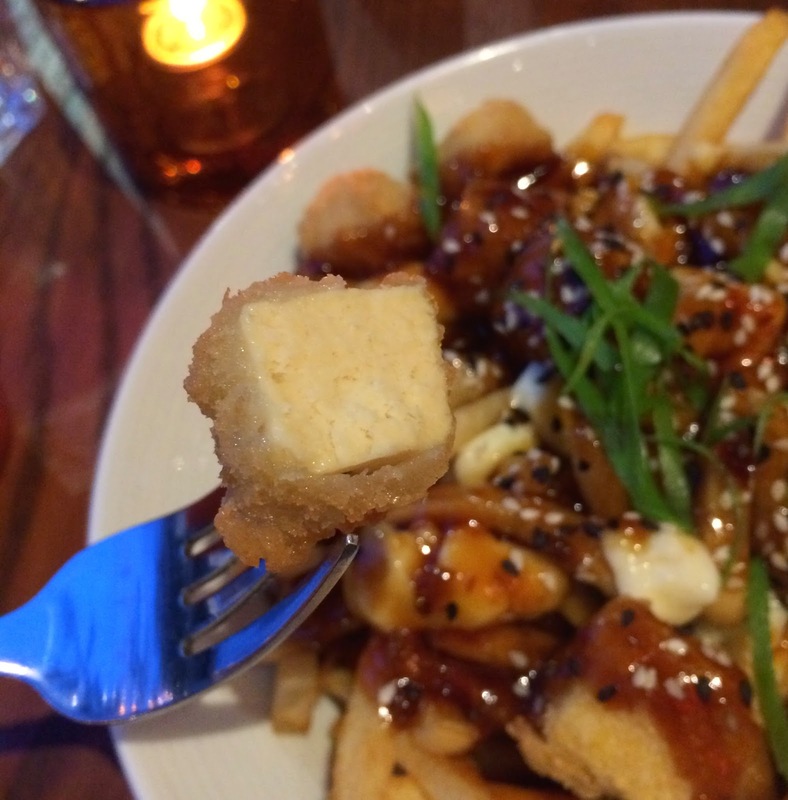 They added a new poutine called "Tofu Thai" which wasn't on the menu in March, 2014. Tofu is used for a substitute for chicken, so it would have been created for those who would like to avoid meat. I haven't tried either General Tao poutine or even Tofu instead of chicken, so I decided to get "General Tao Tofu" which enables me to try General Tao and Tofu. 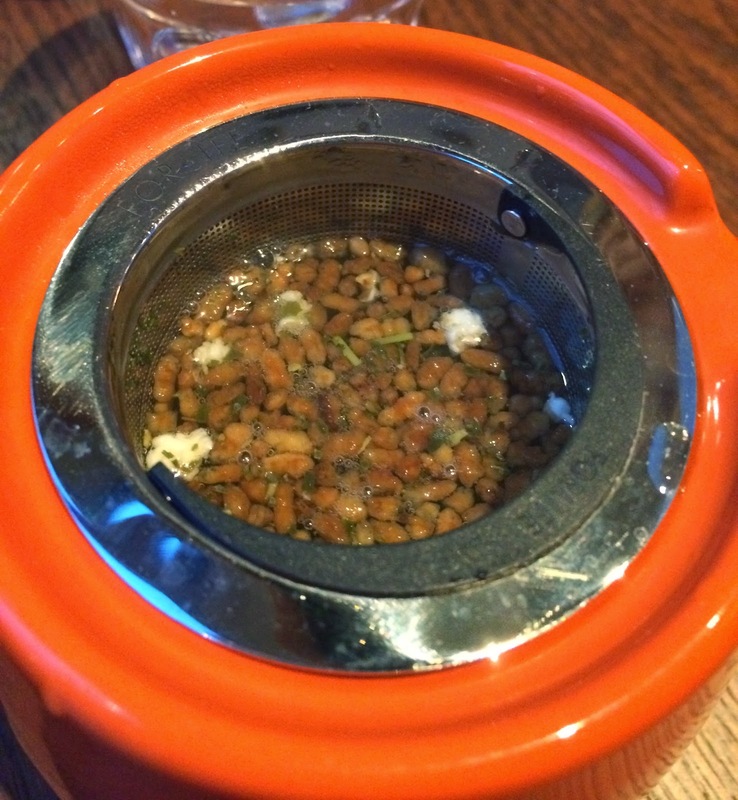 I had Sencha Rice, which is Gemnaicha, or brown rice tea. 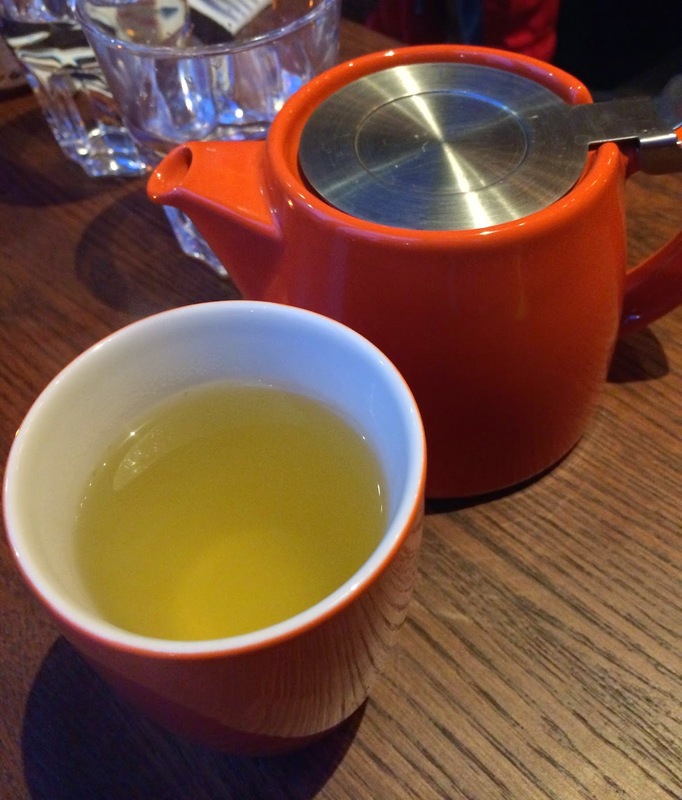 It's one of my favorite green tea with roasted rice which create very fragrant scent and taste. In the pot, I saw roasted rice and also white rice pop created from the process of roasting. 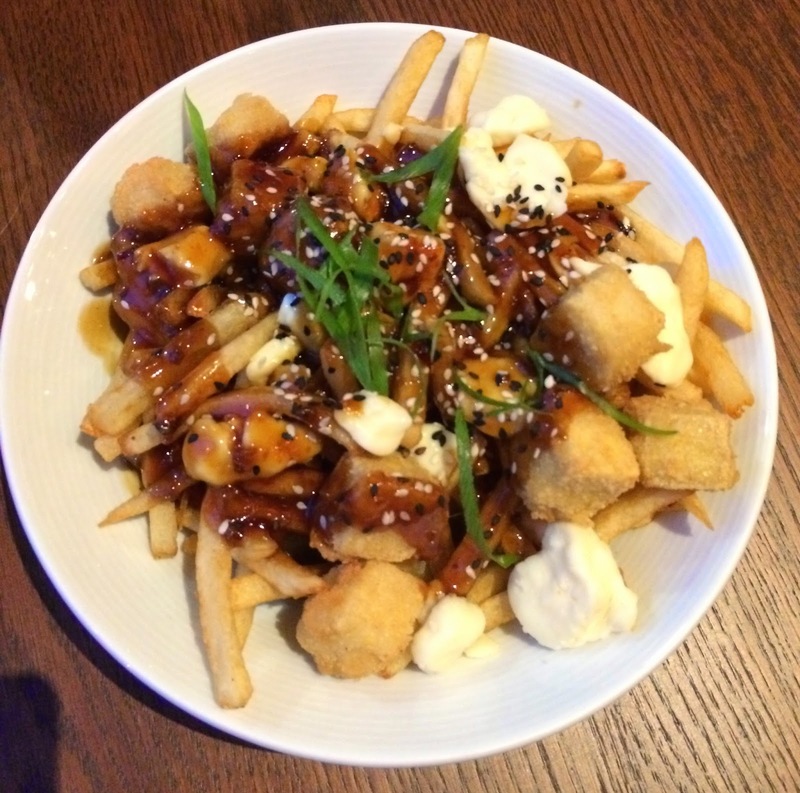 It's topped with sweet and sour General Tao sauce, green leeks, black and white sesame seeds over skinny fries, large pieces of cheese curds and fried Tofu cubes. 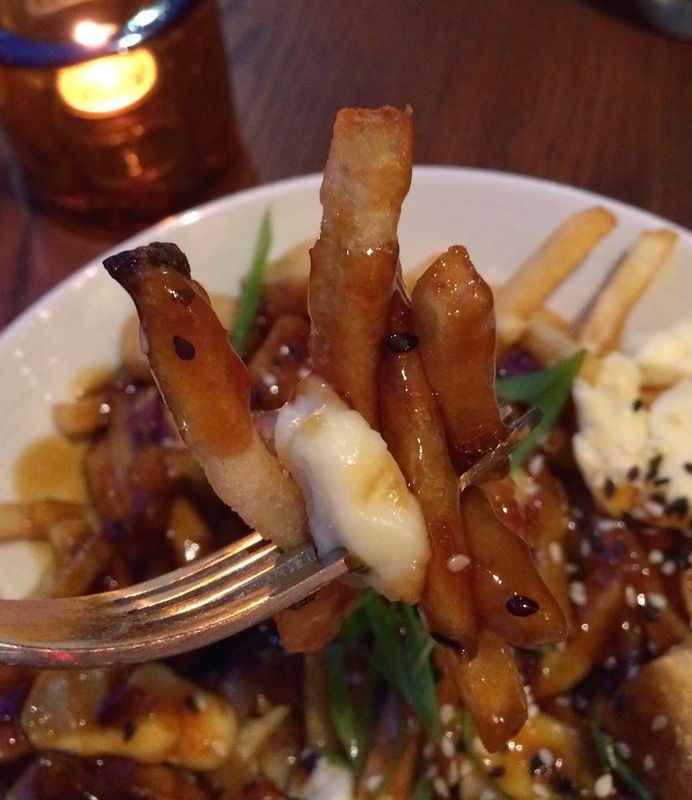 As always, they use skinny fries with big chunks of cheese curds. Tofu cubes had thin breading and it's very crispy outside. The texture was a mix of firm tofu (木綿豆腐 / Momendofu) and freeze-dried tofu (高野豆腐 / Koyadofu). I liked this semi-hard texture more than chickens that I had before. They pour a lot of sauce here so that poutines tend to have strong flavor and fries get soggy easily besides they're skinny fries, so next time I'll ask for less sauce if I remember. 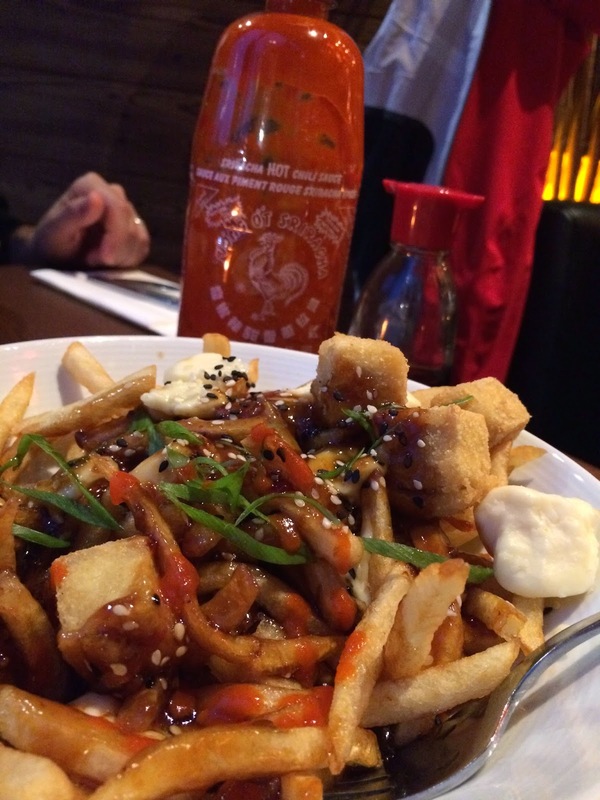 They served Sriracha sauce, which might have been for Beef Teriyaki that my husband ordered, but I put some over General Tao Tofu Poutine. With Sriracha's distinctive flavor and spiciness, I enjoyed a unique and hot taste. I try some vegetarian or vega plates, and they're quite good and have lighter taste but somehow fulfilling.